When I met up with Rod Quinn on the weekend I discovered I had been stomping through hallowed ground without even realising it. All over New York there are scenes from movies and album covers that are, if not the pointers of a pilgrimage, at least milestones for a man on a mission. Rod is that man. 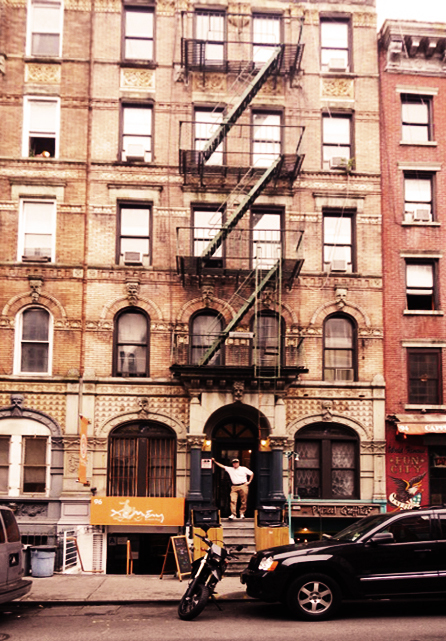 On St Mark’s Place in the East Village there are two tenement buildings that became the cover for Led Zeppelin’s album ‘Physical Graffiti’. There seems to have been little change to the building in the last 40 years, which makes it easily recognizable for the fans. I guess that’s why Mick Jagger and Keith Richards added their legacy – it became a classic spot to be waiting on a friend…. 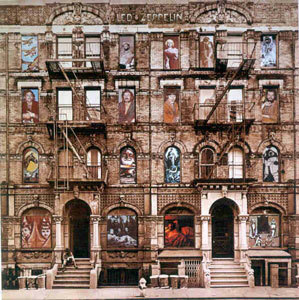 This entry was posted in travel, Uncategorized and tagged Led Zeppelin, Rolling Stones. Bookmark the permalink. loved seeing Rod in New York lunching with you. enjoy your talks during the night, may never visit but you make up for it. Pam from Penwortham in South Australia.